Coming from an experienced fine dining background as well as being a deeply passionate butcher, Dan has created a truly unique concept, Carcass LDN. 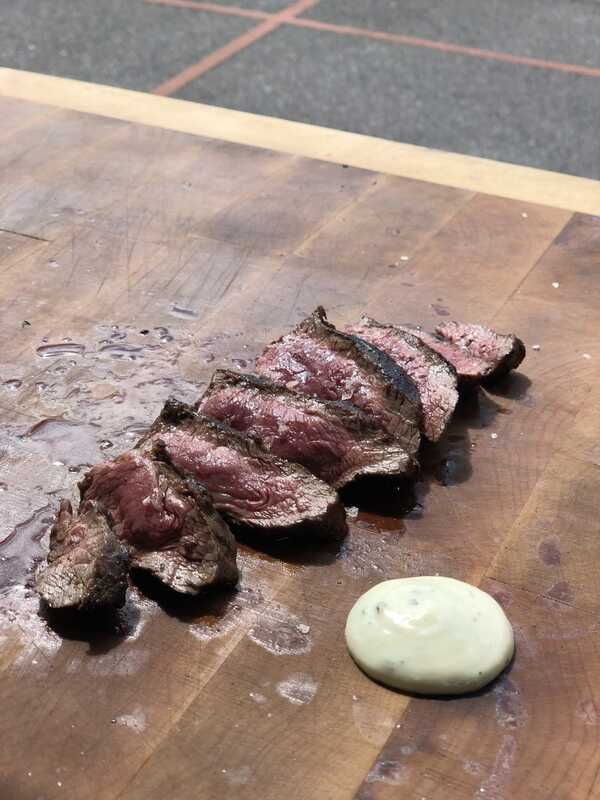 His idea is to cook simple, beautiful and varied cuts of meat over a large Argentinian grill. At Carcass, the team work closely with butcher Turner & George to provide the best quality, dry-aged meat, that comes all locally and happily sourced from farmers that they have worked with for years. The well-being of the meat, the farmers it comes from and the dry-ageing process is the bloodline of what Carcass stands for. 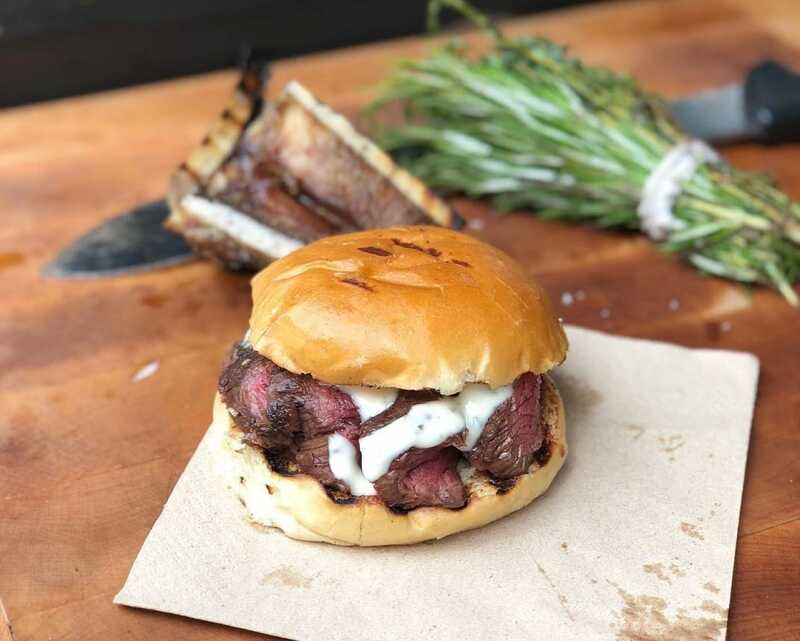 They have launched this as a street food stall that operates primarily in London’s busy food markets and their aim is to provide all types of dining experiences. They can cater everything from corporate parties with live fire-cookery demos to more intimate, private and fine dining dinner experiences with a more fine-tuned menu. The staff all have a mutual passion to drive the hospitality industry forward, providing great experiences for guests. 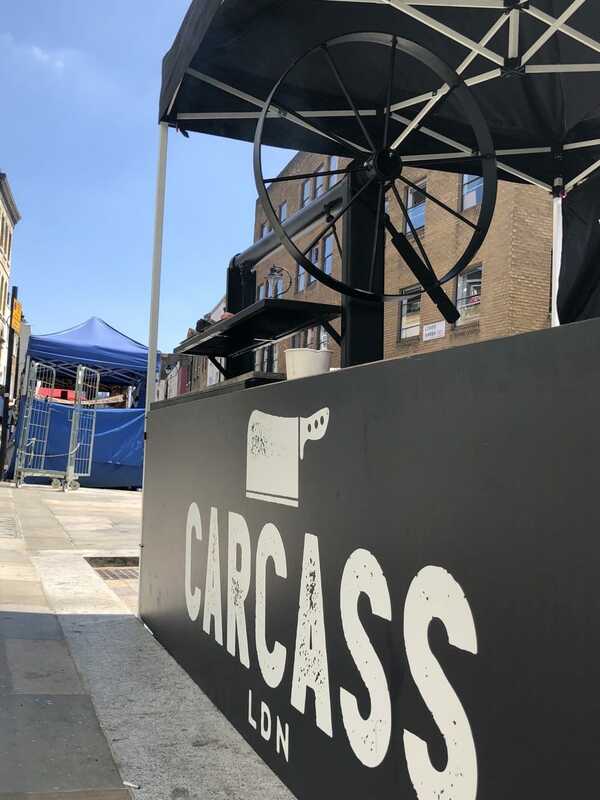 If you’d like some top-notch meat served at your next event, then do not hesitate to get Carcass LDN along and they will definitely not disappoint!